Contemporary Design that Reflects Your Personal Style. We live in Austin, too. So we know how important it is that your new home reflects your individuality and personality. 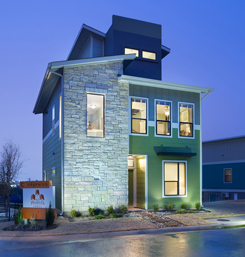 Our contemporary homes for sale downtown Austin are unlike any other. You like to be out exploring everything Austin has to offer, and you don’t want to be tied down by details like mowing and exterior maintenance. But when you are home, you want to feel at home. Edgewick is the answer, with stylish design and beautiful features. EdgeMax Energy package- a collection of environmentally friendly features guaranteed to lower both your energy costs and impact on the environment. Attics are fully encapsulated with open-cell foam, resulting in almost zero loss of heat or air-conditioning. 14 SEER Carrier Puron Gas HVAC unit. 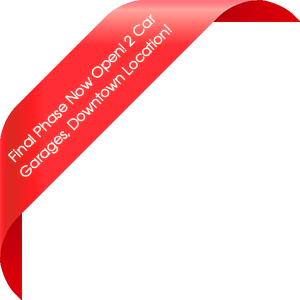 Two story condos with one unit, equipped with a zone damper system controlled by a separate thermostat for maximum efficiency. Honeywell digital programmable thermostats for complete temperature control. Tank-less water heater 60% more energy efficient than traditional hot water heaters, and they provide hot water on demand! Low E366 dual pane argon gas filled windows have a UV coating, resulting in less energy loss . Also prevents the fading of color in blinds, curtains, and furniture inside the home that is exposed to sunlight. 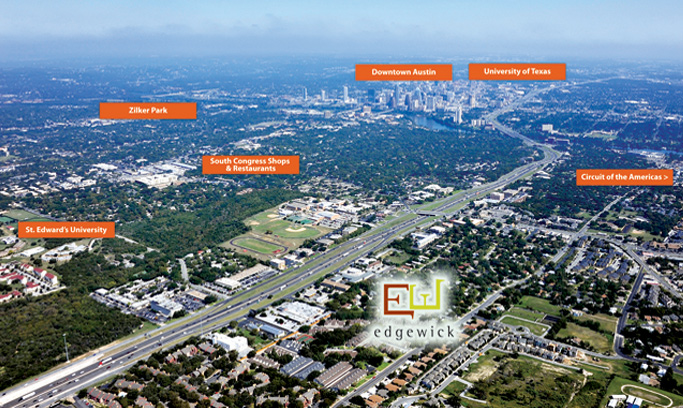 Homes in Edgewick are selling quickly. Don’t miss your opportunity to live close to everything that’s anything in Austin, with tons of quality features you don’t often find at these prices.